The Race is On (for Data Analysis)! With the huge volumes of data being generated by our networks and the speed at which business runs today, the ability to analyze that data and provide meaningful metrics in a timely fashion is of critical importance. Every year we generate more data and every year we have to do more with less. When you are trying to solve a problem impacting your business even a minute can be too long to wait for the data to be returned. You need results and you need them in seconds. Whether you are responsible for the day-to-day operations of the network or the CIO looking to ensure things are operating smoothly, getting the data you need quickly is critical. 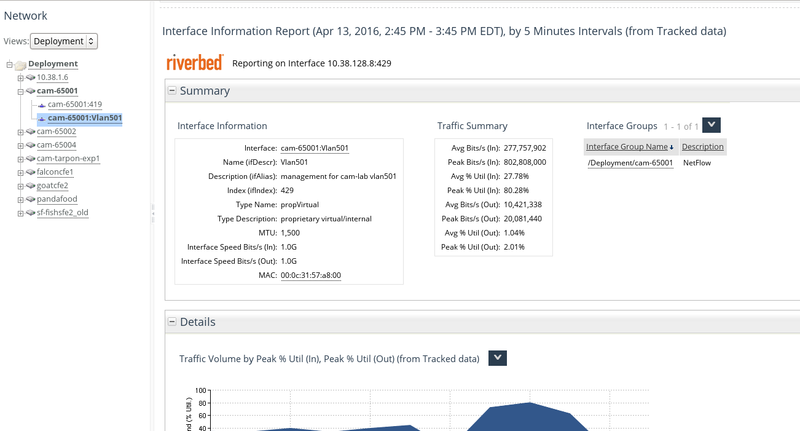 With Riverbed SteelCentral NetProfiler and SteelCentral NetExpress you can get meaningful data for your network with a few simple clicks in just a few seconds. This data is presented in such a way to make identifying patterns and spotting problems as easy as possible so you can spend more time fixing the problem and less time trying to find it.Browse Preferred Interfaces allows you to look through those interfaces that are most important to your organization and see the relevant metrics all in one place, such as Packets per Second, Server Delay, Retransmits, and Percent Utilization for top or specific interfaces. From here you can easily drill down to get more detailed information on a specific interface or detail related to an interface (such as the top DSCP tags for the interface). If you need to drill in even further you can take advantage of NetProfiler’s ability to easily pivot from instance of data to another and use the right-click menu to request a more detailed report on a specific or generic piece of data. Of course you may be looking for data on a specific interface. In that case the top interfaces may not be the right place to look (unless of course the interface you are looking into happens to be in that list). In this case the Navigate Network view is the place to go. From the Navigate Network view you can easily run Device or Interface Information Reports on the devices and interfaces you need. The devices and interfaces are sorted into hierarchical views via both an automatic process relevant to the way data is received from these sources and a manual process where an administrator can build out a hierarchical view organizing the devices and interfaces in whatever way makes the most sense for your usage. 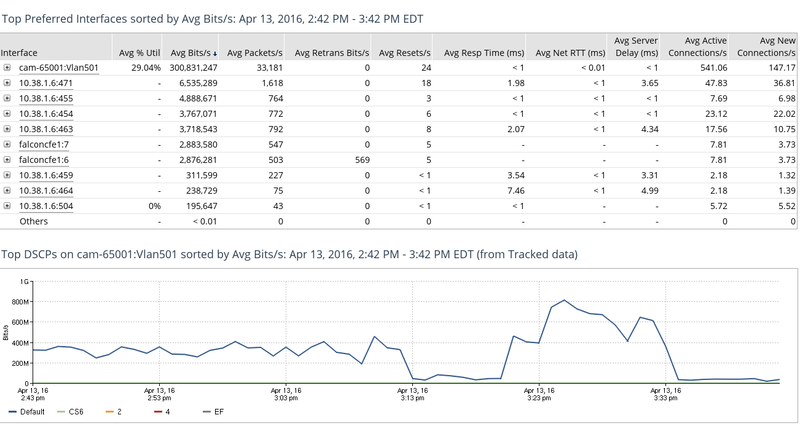 Whether you are looking for details on the top performing interfaces on your network or need to drill in to a specific troublesome interface, NetProfiler provides the information you need quickly and reliably. Being able to get detailed information in the fastest time possible means less time troubleshooting and more time for strategic projects.